Let's start the Saint Patrick's Day weekend off with a bang! 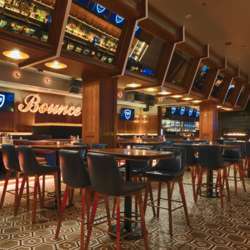 Located in River North, Bounce is a fun and social sports club with a slight vintage twist, offering creative bar food, craft cocktails, and DJ tunes. - Guest list closes at 4pm on the 15th.